Columbus has much to offer the photographically inclined. From lush forests to urban sprawl, this city has it all. How do you decide where to start? To help you decide where to go next time your shutter finger is itching, we have put together our list of the best places to photograph in Columbus, compiling all our favorite spots in and around the city. So, without further ado, and in no particular order, here is the UA Creative Studios Photographers Guide to Columbus. The Short North Arts District is one of the most vibrant and colorful parts of Columbus. With flourishing businesses, exceptional night life, and the monthly Gallery Hop that occurs on the first Saturday of every month, this slice of High Street is a street photographer’s paradise. There are plenty of murals, art galleries, bars, and street performers to keep you busy in the Short North. This spot is as good a location to photograph during the night as it is during the day, too. The whole of High Street in the Short North is covered in neon signs which make for very interesting lighting for portraiture. The iconic arches also are covered in lights to give your night photography more flare. Once you’ve finished exploring the Short North, check out Victorian Village and Italian Village. 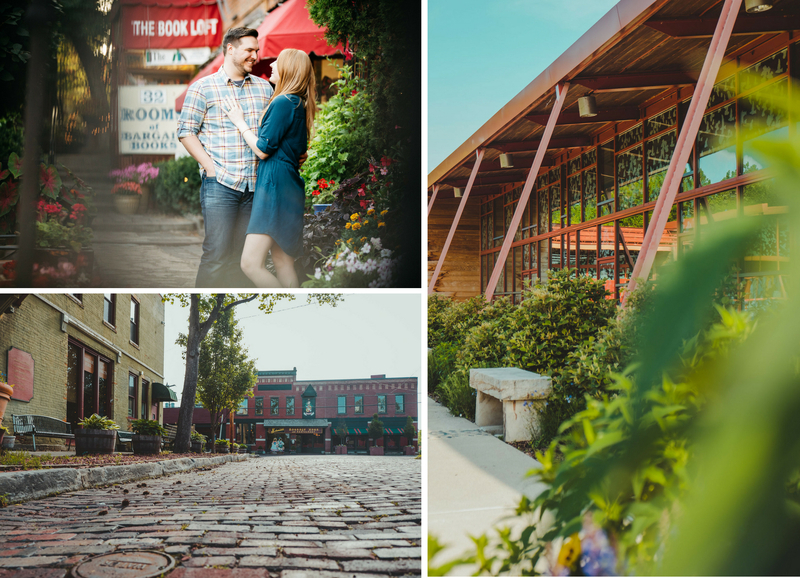 These villages flank either side of the Short North and offer plenty to see and more importantly, photograph, such as Goodale Park. German Village is one of the best known historic villages in the city of Columbus and the entire country. It’s chock full of preserved 1800’s architecture and plenty of restaurants, coffee shops, and bars to keep you well fed and to satisfy that hunger for Architecture photography. Make sure to check out Schmidt’s Sausage Haus, The Book Loft, Stauf’s Coffee Roasters, and The Scioto Audubon. If you’re looking for a bit of nightlife, make sure to stop by the Brewery District too, which is west of German Village. The Scioto Mile is where you can get that oh-so-sought-after skyline photo of Columbus with the Scioto River in the foreground. Day or night, this location should be at the top of your list. Home of plenty of festivals throughout the summer months, while this spot is known for the landscape photo of the Columbus skyline, it’s also great for street photography. Make sure to check out the nearby Franklinton area with all kinds of art, food, and beer. Also, COSI is in Franklinton, so you really can’t go wrong here. Columbus is home to a number of fantastic parks. Luckily enough for you, they’re some of the most photogenic locations in all of Columbus. Parks like the Columbus Park of Roses, Franklin Park Conservatory, Highbanks Metro Park, and the soon-to-be-open Quarry Trails Metro Park all offer great nature photography and also serve as a great way to get out an experience nature. For those looking to get out of town to flex their photography muscles, check out Logan, Ohio to the south with its many state parks such as Old Man’s Cave, Ash Cave, and Rock House, and Mohican State Park to the North. 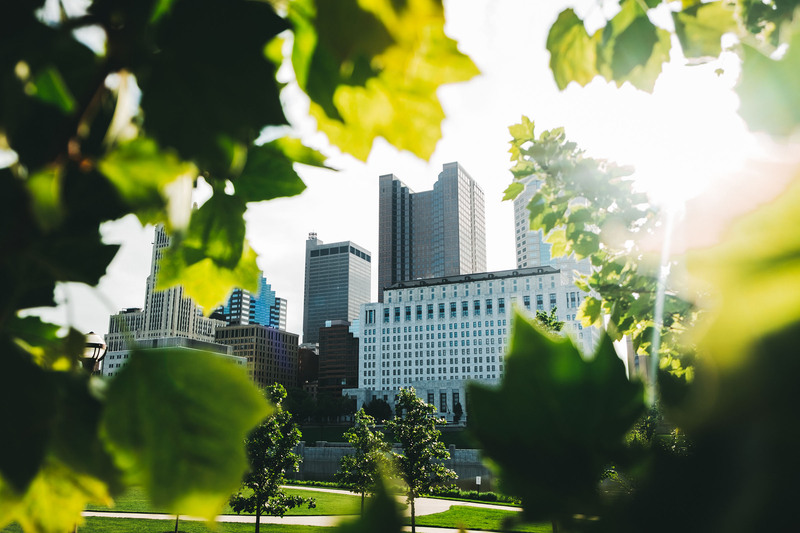 The city of Columbus has so much to offer photographers and this list of the best places to photograph in Columbus could be nearly endless. The diversity in locations and activities and the subsequent styles of photography they coincide with are quite vast. We didn’t cover every one of our favorite spots (mainly because there were too many to choose from! ), so make sure to check out these spots and then go find some favorites of your own. UA Creative Studios offers photo walks in various locations across Columbus which are led by one of our knowledgeable and friendly educators. We’ve held these events in places such as German Village, The Ohio State University, The Short North, and so on. These events are just as much social as they are educational. Make sure to follow us on Instagram @UACreativeStudios and @UACreativeEducation as well as liking us on Facebook at UA Creative Studios and UA Creative Education in order to keep up with all of our events both in and out of our studio located at King Avenue and Olentangy River Road. 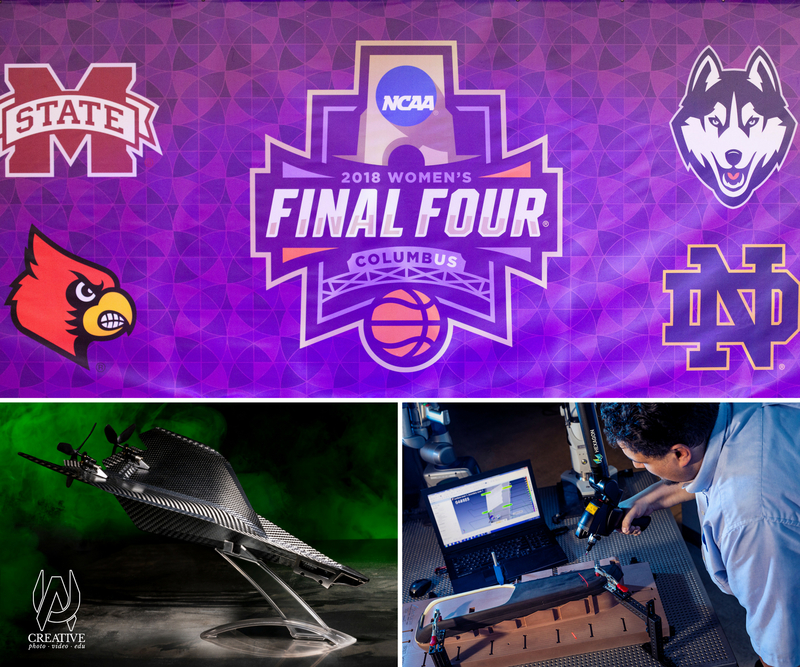 This blog post was written by Joshua Stevenson, UA Creative Studios Creative Assistant. Josh is always willing to talk marketing, social media, and of course, photography. You can reach Joshua at joshua@uacreativestudios.com with any questions, photo location recommendations, or coffee meeting requests.